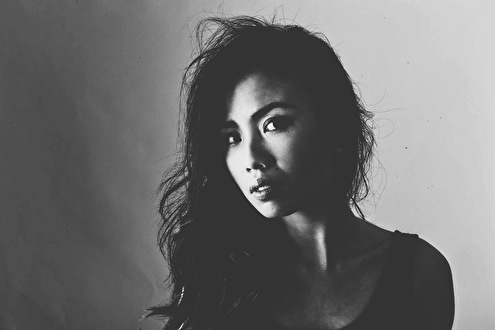 Amsterdam based devotee Van Anh is a DJ pur sang with over a decade of experience to her name, making her the respected artist we get to enjoy today. Her sincere love for digging, selecting and technical mixing oozes through every vessel of her body. The name 'Van Anh', which translates to 'clouds', fits her hypnagogic magnetic way of mixing like a glove, allowing her to withdraw from any fixed-genre sets and rather resonate to the sound waves of her liking. Very much like clouds, her sound takes on multiple shapes and forms varying from deep ethereal ambient to hard uncompromising techno. Never monolithic, what makes listening to Van Anh so enjoyable is the intricate way of combining all these sounds, bridging music from the past and the present. Met NYE op nachtduik zien draaien.­ Het ging los! Draaide heerlijk @ Woosah op 29 aug! nooit eerder van gehoord maar draait lekker Rising star? jammer dat je voor gemiddeld 3 man stond te draaien de 20e was wel goud! draaide super , en wat is ze lekker eeej!!! Een lekkerding, die ook nog eens goed kan draaien!! Lekker in gedraaid boven in Simplon!